I whipped up this project kinda out of nowhere and without overthinking it, for once. 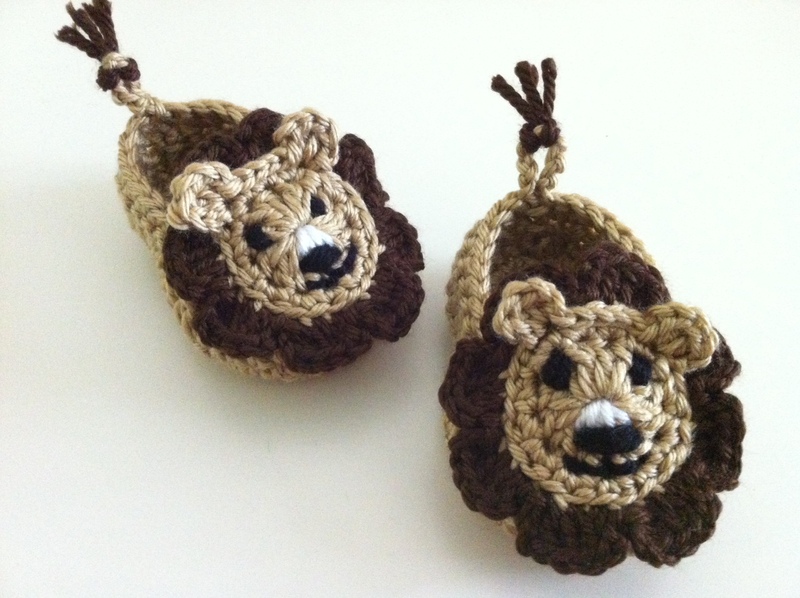 Without an exact pattern, I combined a basic baby shoe with an improvised lion face and tiny ‘tail’. The face wasn’t too difficult to make, after a couple of tries I had a design I was happy with. I wish all projects were as easy to create on a whim. These are really cute . I love the little whit on the nose!